Social Media has plenty of benefits. We’ve spoken about this time and time again but how do you utilize social media to grow on online business? Teow Han Meng, Managing Director of Hanventure talks about the e-way of doing business. There are over 2 Billion Internet users in the internet world. Imagine the huge prospects you can obtain! 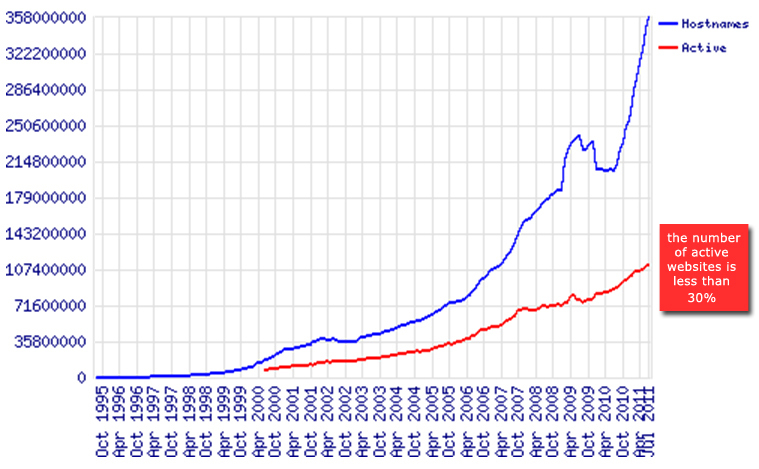 There are over 357 Millions websites in nowadays, but the active websites is less than 30%. Here are my top ten reasons why e-commerce fails - try to avoid them! In working to help develop eCommerce websites for small businesses, I have seen a few successes and failures over the last 12 years. There are myriad articles to be read on how to start an eCommerce site, and how to market your eCommerce site, but there aren’t many articles on why NOT to start an eCommerce business! Below are the first 5 reasons why you should think twice about starting up an eCommerce business. These are a few key areas that, in my experience, offer the greatest potential for failure if not properly identified. Conversely, if you excel in each area, more power to ya! Google Wallet has officially arrived, and it's brought some new friends with it. Visa, Discover and American Express have each made moves to begin partnering with the mobile payment service, which is already supported by MasterCard. Google Wallet lets users of select Android phones pay for their purchases at select retailers simply by waving the phone in front of a sensor. 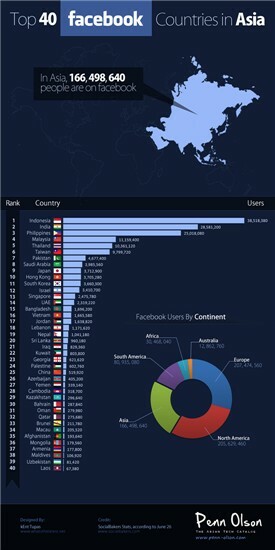 Below is a infographic for Top 40 Facebook countries in Asia. Malaysia ranks No.4, with 11, 159,400 users. No matter how wonderful your service or product is, you won't make any money if people don't know about it. There are a number of things you can do to get your name out there and many of them won't cost you anything but time. Here are 8 tips to get you started. List the physical location for your business in Google Places and Yahoo. Use Google Product listings to drive shoppers to your website. Get listed on sites like Yelp!, Citysearch, Goby and Local.com so people can find your business and review it. Look for websites and mobile apps that search for businesses in your industry and add your location. There's Urban Spoon for restaurants, Hotspotr for wifi cafés, Mappy Hour for bars with happy hour specials, and A Day's Outing for daytrip destinations like wineries, antique shops and family fun spots. Other apps like Future Tap's Where To? pull their information from Google Places, so make sure your information is up-to-date. When re-branding itself in 2009, Grasshopper Group used chocolate-covered grasshoppers to spread the word in a stunt that our office still remembers two years later. They got lots of television news coverage as TV anchors ate them on the air. Create your own newsworthy event, something so different that people just have to talk about it. Where do you get that great idea? Morton's Steakhouse got a mountain of publicity for the price of a steak dinner delivered to Peter Shankman as he arrived at Newark Airport. Someone at Morton's was paying attention when Shankman jokingly made a request on Twitter. At this writing, less than a week later, a Google search for "shankman steak" returned 187,000 results. Listen to your customers and respond. They will spread the word. 4) Use press releases when you have news. PR Newswire and Business Wire are the industry leaders, and as such, may be beyond the budget of your small business, but they offer excellent advice on how to write and use press releases. PR.com and PRLog.org will distribute your press release for free, and PitchEngine.com allows one free pitch per thirty days. Star Reviews has a comparison chart and reviews of some free and paid press release distribution services. When you get press coverage, ask permission to post it on your website. 5) No news to report? Use HARO. HARO (Help A Reporter Out) was created by Peter Shankman to connect reporters and bloggers with small businesses "to tell their stories, promote their brands and sell their products and services." How does it work? Suppose you own a restaurant. You sign up with HARO as a source, and they send you emails with queries from reporters. Choose the queries that you are qualified to answer: maybe for a business article about the economy's effect on restaurant patronage, or a management piece on how to motivate employees, or how to choose wine for a food or bridal magazine. When you are quoted as a source, your business name becomes newsworthy, and you become a recognized expert in your field. 6) Get connected: tweet, start a blog, get a Facebook page. This is the digital age. You don't have to wait around for someone else to write about you. Whether you own a pizza parlor on Main Street or you make widgets, you can find something to blog about. Start by sharing advice and how-to tips. Basic service is free on Wordpress, Blogger and Tumblr. Social media can give you exposure as well. A Facebook page gives your loyal customers an easy way to share you with their friends, and even street vendors are using Twitter to boost their business. Businesses for whom ambiance is a big selling factor (like restaurants, bars, boutiques, catering halls) should take definitely advantage of this free platform to show potential patrons what they're missing. But no matter what your business is, you can find a way to leverage this powerful tool to your advantage. For example, a veterinarian shows how to brush a dog's teeth; a hairdresser demonstrates the proper way to use a straightener or curling iron; a pet store owner tells you how to clean the sand in your fish tank. Then put your videos on your Google Places Page. Facebook Pages are perfect for this. Sprinkles Cupcakes posts daily giveaways on its Facebook page like this one: "What goes around comes around! First 50 people to whisper 'karma's sweet' at each Sprinkles get a free cupcake for you and for a friend!" Howard Rosenthal Photography gave away a free BFF Photo Shoot. Location-based services like Foursquare let you reward frequent customers with something special and build buzz around your business. Whether you're blogging, tweeting, or helping a reporter out, the more places you can be found on the web, the better your chances of being found in the brick-and-mortar world. Spend time thinking over your creative ideas and invest in careful planning. Decide the goals and vision that matter to you most. Write it down and read it often. Know your goal for now, and know where you want to be for each year to come. Work on one idea at a time. Never splatter out with many ideas. It’s overwhelming. Establish a dotted line of steps to reach short-, medium- and long-term goals. Make sure your dotted lines look like one line and not a spider’s web of tangles. Decide how much personal investment you are willing to give—now and in the future. Determine your life/work balance and make conscious effort to maintain it. Revisit your vision and plan for business every three months. Adjust to fit. Have a safety net and a Plan B for every potential obstacle you meet. Online Shopping Around the World: How We Spend Our Money? Because of the numerous Benefits of Shopping Online more and more people these days prefer Online Shopping over conventional shopping. There are many reasons why I think online shopping is the best too. Which US cities spend the most online? Online shopping has become a way of life for many US consumers, yet cyber-spending is much more popular in some areas than others. It has been claimed in a recent report that the level of online shopping and spending in Australia is set to increase over the course of this year.